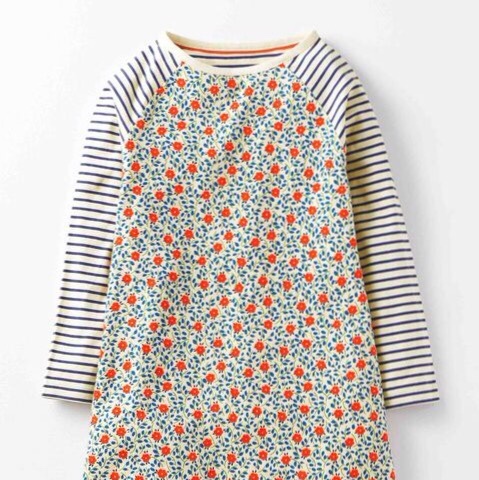 I love everything about this Baby Boden Rabbit Sweatshirt Dress so easy and comfortable to wear and not to mention it's ALL THE CUTE! Those bunnies are so fluffy and adorable and remind me of our own little bunny Pedro. 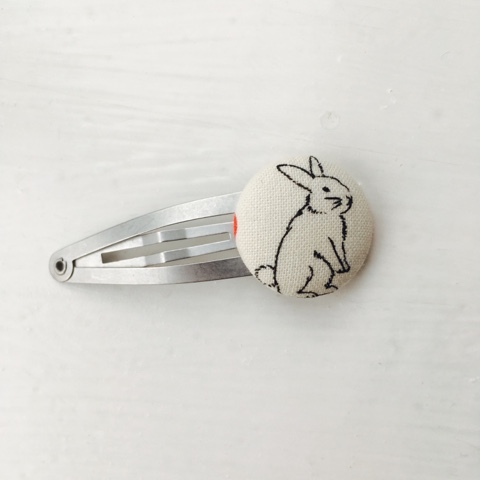 I've recently discovered 'Ditsy Dot' a fabulous hair accessory company run by Erica, mum to twins and now hair clip genius. 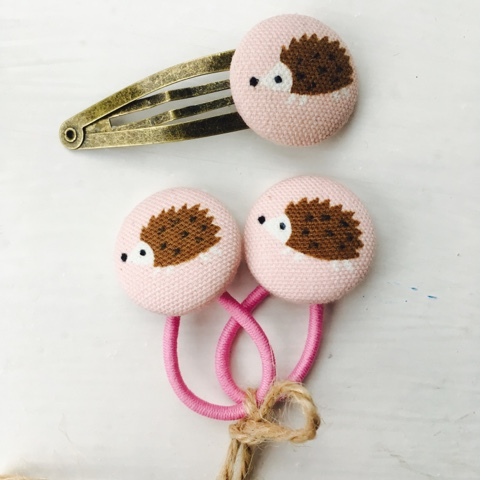 'Ditsy Dot' was born when Erica tried to find some dinosaur hair clips for her daughter and found very few available so decided to make her own. 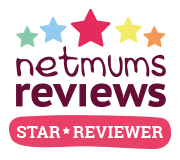 Unsurprisingly friends loved what she had made and put in their orders and 'Ditsy Dot' was born. 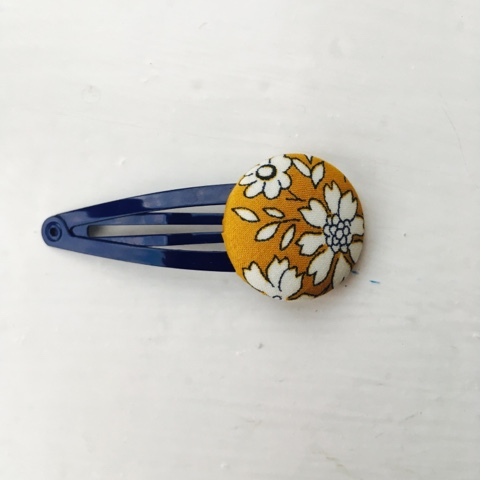 Erica makes all the hair clips herself using the most beautiful fabrics which rather brilliantly co-rdinate perfectly with my Autumn Dress picks. Do pop over to the Ditsy Dot Facebook Page and the Ditsy Dot Instagram page for lots of inspiration. 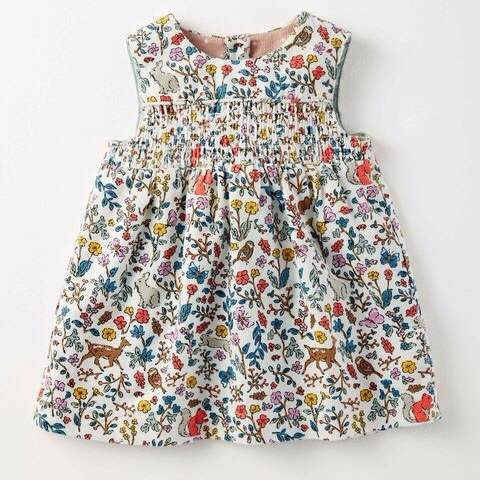 I've invested in this Dress for Ellie and love the striped sleeves with the floral print. Again it's jersey material so will be so comfy. 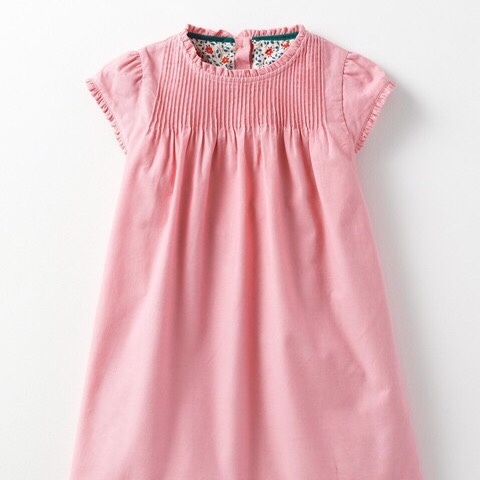 It's a swing dress so will pass her 'twirl test'. 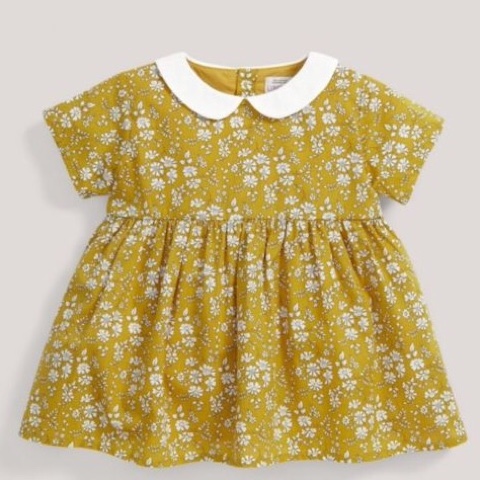 I've gone for it in age 5-6 but its available from age 2-12 from Mini Boden and there are two prints to choose from including this one. 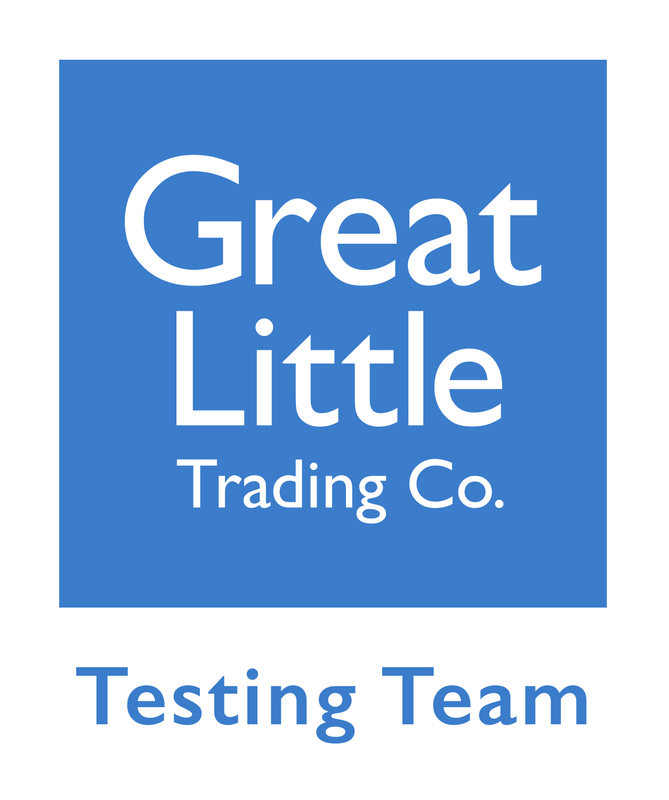 I really find that I can hand their clothing down through all 3 little ladies and it lasts so well without bobbing or wash fading. 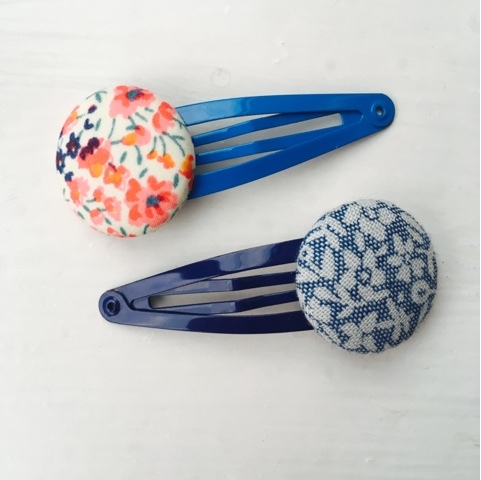 These two button clips from 'Ditsy Dot' will co- ordinate beautifully with the floral jersey dresses above along with Denim dresses we already have. Erica thinks of everything even matching the colour of the slide to best compliment the fabric. 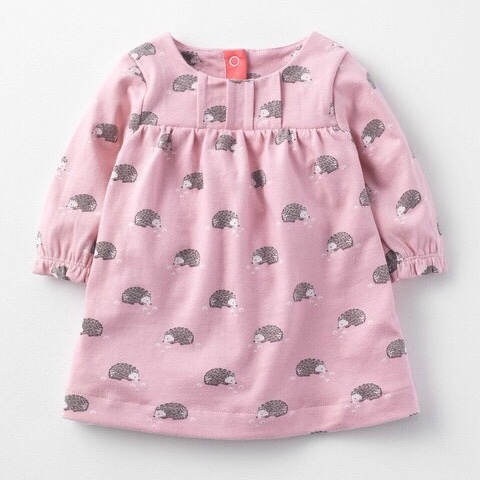 I am so happy with the abundance of woodland themed clothing out there this autumn and hedgehogs are my absolute favourite, look how beautifully the dusky pink and brown work together... I'd actually quite like this outfit myself! 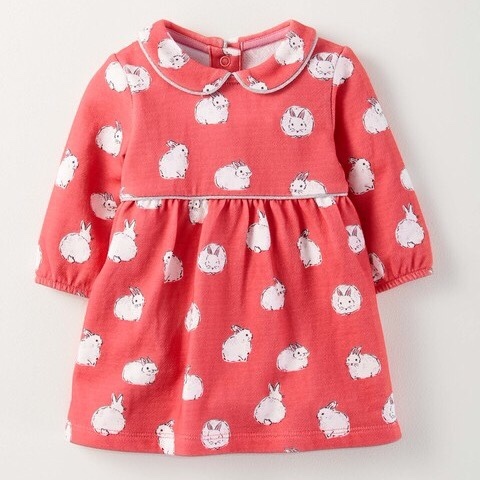 This super cute dress is from Baby Boden and is called 'Vintage Pink Hedgies' This clip and matching bobbles are from 'Ditsy Dot' and just too sweet for words, we'll definitely be needing some more of these as they are already a popular choice with Ellie and Phoebe. Staying with a woodland theme, I love these two woodland cord pinafore dresses. They'll be so lovely with a plain body underneath and cable knit tights. 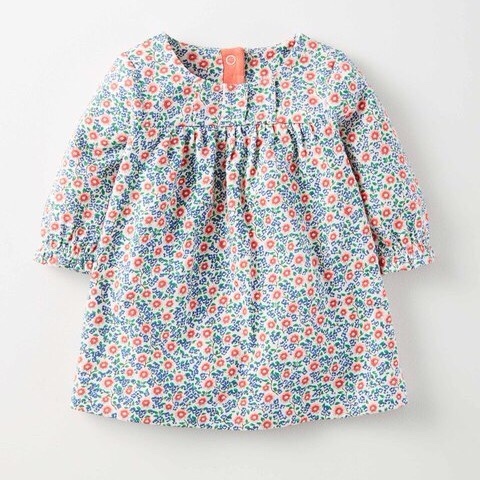 I love the colours in this one from Baby Boden, particularly the orange and teal. This pinafore is from John Lewis and the pastel green is really fresh and i think will look great through Autumn, Winter and Spring. The fox, rabbit and deer detail is so pretty. 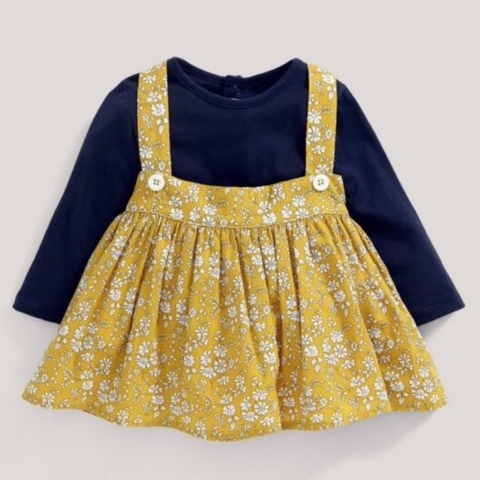 It's available from 0-3 up to 2-3, I really like the traditional vintage styling of a pinafore dress along with needlecord, as it's soft but a nice weight for autumn. 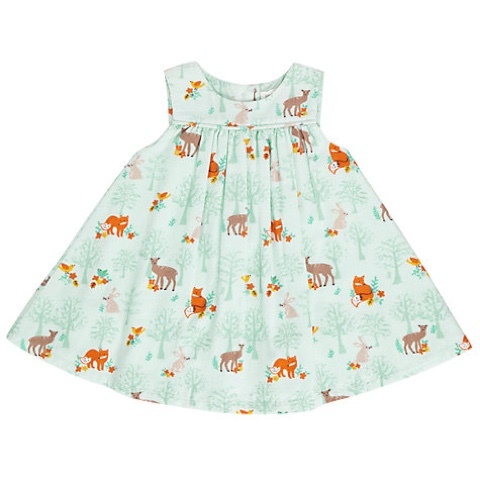 Of course 'Ditsy Dot' have several gorgeous woodland designs to match, I really like the copper clip as it really highlights the brown and orange tones to the dresses i've chosen and little plaits or pigtails with the pinafore dresses will be so sweet. 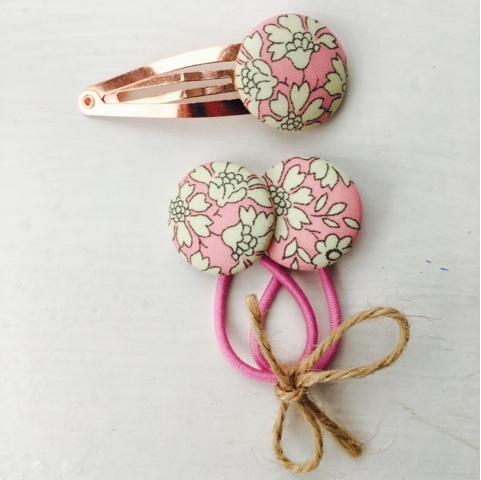 Teamed with these Liberty Print clips and bobbles from 'Ditsy Dot'' the little ladies will look simply adorable and will be matching in style! 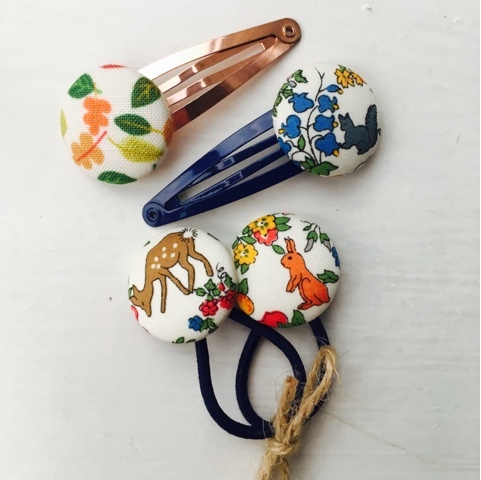 'Ditsy Dot' have perfectly matching liberty print buttons with a navy clip to pair with them, an autumn wardrobe staple i'd say! 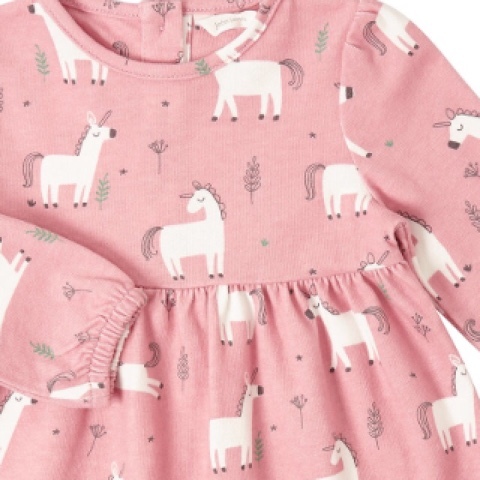 Last but by no means least is this very sweet unicorn print jersey dress from John Lewis and at £12 it's an absolute bargain. It only goes up to age 2-3 which is a shame as otherwise I would most definitely be buying 3! 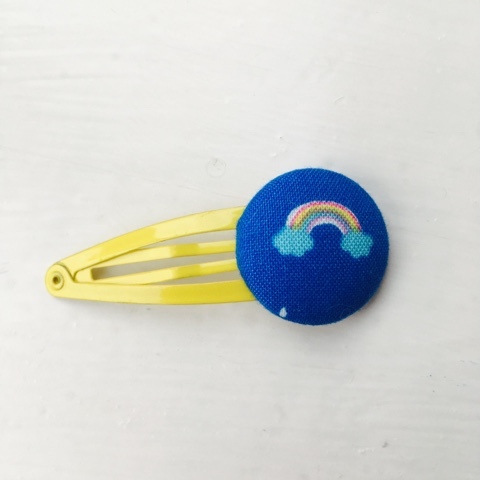 Finally hair clip wise I love rainbows as much as I love unicorns and bunnies, this gorgeous little clip from 'Ditsy Dot' will brighten up any outfit on a grey autumn day. Ditsy Dot kindly sent me the featured hair accessories to match my dress picks. All opinions in this post are my own.